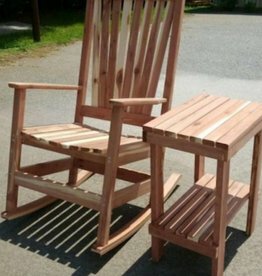 Real wood cedar rocker. 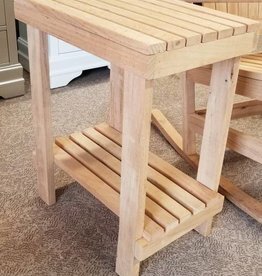 Measures 24" wide (19" between arms). 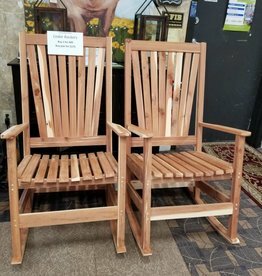 Pair of real cedar rocking chairs. Unfinished. 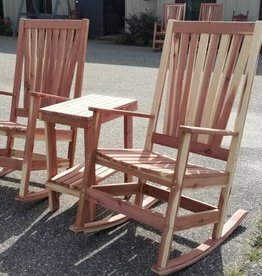 Pair of real cedar rocking chair w/ one matching side table. Unfinished. 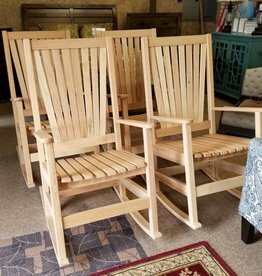 Pair of real oak rocking chairs. Unfinished. 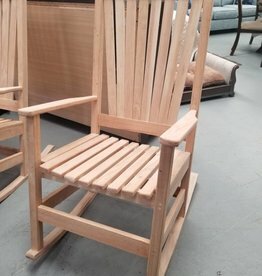 Pair of real oak rocking chairs w/ one matching side table. Unfinished. 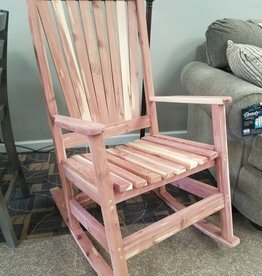 48" unfinished real cedar swing with chain included. 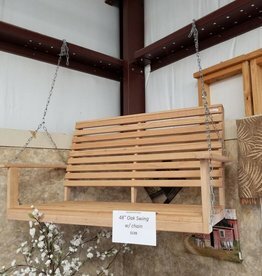 Real wood oak swing. 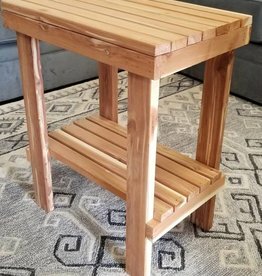 Measures 48" wide. Chain is included. 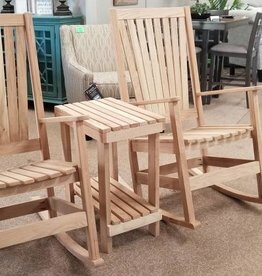 300 lb approx capacity.